ProShot is a nice camera app alternative for your Windows Phone 8 device and a recent update hopes to add more stability to things. The version 2.0 update should make the app more stable on HTC and Nokia Windows Phone 8 devices but the app is still not compatible with the Samsung ATIV S.
Along with the bug fixes and stability improvements the update also brings a few new features to ProShot. To use the focus lock feature just half-press the shutter button to focus your camera and while holding the shutter button half-way tap the screen to lock/unlock the focus. As far as the Shutter Priority mode being rebranded, it makes sense because with a fixed aperture on our Windows Phone, you really can't have a priority mode. But you can manually adjust the shutter speed to influence the exposure. 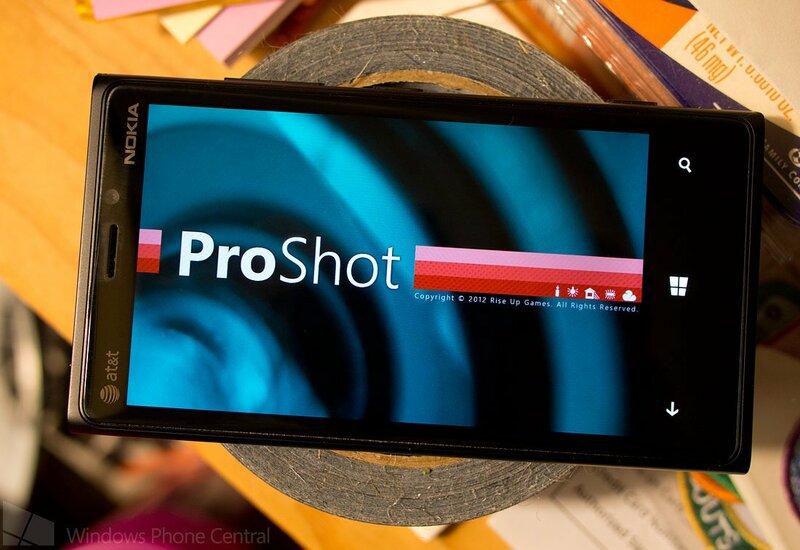 We tested ProShot on both the Nokia Lumia 920 and HTC 8X just briefly to see if any stability issues were present. It's a rainy, cold day down South and while there wasn't much to take pictures of, ProShot ran fine on both Windows Phones. There is one bug though with this latest version. For some reason the level overlay is always on when you launch ProShot. You have to go into the display tab (DSP) and turn the level overlay on then off to get rid of it. It's nothing major and hopefully easily fixed with the next update. There is a trial version available for ProShot that will let you try all the settings out but images are not saved. The full version of ProShot is currently running $1.99 and you can find ProShot for Windows Phone 8 here in the Windows Store.